The Department of Immigration and Citizenship announced today the changes to the skilled migration pass mark. People who want to migrate will first need to submit an expression of interest (EOI) for their Australian visa application. 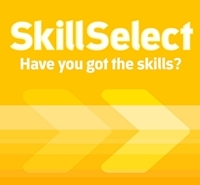 This applies to the new SkillSelect visa subclasses 189, 190 and 489. According to a Department of Immigration and Citizenship spokesman, the change to the pass mark was in the context of the series of reforms to the skilled migration program undertaken by the Australian Government since 2008. The pass mark for the new SkillSelect visas will encourage a wider range of people with the skills and attributes needed in Australia to register their interest in migration. Call us at +65 6299 0245 if you would like to discuss your application for migration to Australia or try our free migration assessment to let our consultants determine your eligibility in acquiring an Australian visa.